The colonial district of Kigezi in Uganda was made up of the independent precolonial kingdoms and clan territories of Rukiga, Rubanda, Ndorwa, Bufumbira, Kayonza, Kinkiizi and Rujumbura. It is home to the Batwa, Bakiga, Bafumbira, Bashambo and other peoples from Rwanda and the Congo and was officially incorporated into the Uganda Protectorate in 1908. Three sections of the original montane rain forest that once swathed the mountains west of the Albertine Rift valley survive on the Virunga Volcanoes, Bwindi and Echuya. Parts are home to the iconic Mountain Gorilla, Chimpanxee and a host of rare endemic species. More formidable were monsters who could not converse with men and never showed themselves unless they saw a woman pass by; then, in voluptuous excitement, they squeezed them to death. Kigezi Mountain Mosaic is an exploration of Kigezi colonial district which covers the modern districts of Kabale, Kisoro, Kanungu and Rukungiri in south-west Uganda, bordering the DR Congo and Rwanda. The book (256,000 words & 140 photos) is primarily a review of secondary sources researched in 2011-12. A description of Mgahinga (Virunga Mountains) and Bwindi national parks is given; best known for the rare Mountain Gorilla and Golden Monkey. Many other species are described, from the tiny rare Delaney’s Mouse to the elephant, via primates, deer and Albertine Rift birds and other endemics. It includes the recently locally extinct leopard (once a notorious man-eater), situtanga and hippo. There are extensive descriptions of the origins, history (with clan notes), settlement, economy, culture, language and religion (including Nyabingi) of the Batwa (forest dwellers, traders and conservation refugees), Bakiga and Bafumbira (traditional mixed farmers). Colonial conquest is detailed with an exploration of the fundamental economic, cultural, political and religious changes wrought by European rule and post-independence globalisation. There is an analysis of modern day life and the challenges of migration, dense rural population, gender, agriculture, employment, environment, tourism and people, national park and wildlife interactions. There are biographies of influential people (African and European), descriptions from contemporary literature from 1910, and a large bibliography that covers published and unpublished literature on all research topics with a guide to archives and libraries. Available online at: Smashwords in the following formats: Online Reading, Kindle, Epub, PDF, RTF, LRF, Palm Doc (PDB) and Plain Text (download and view). A 20% sample of the book is free from all publishers. 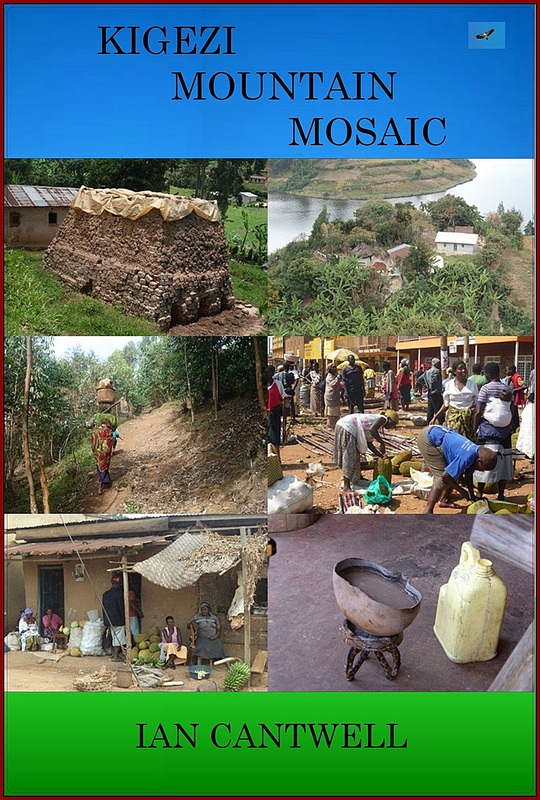 Kigezi Colonial Mosaic (2019) is the 2nd book on Kigezi History that focuses on the colonial period with major transcripts of important colonial source: Captain Coote's daily diary of the Kivu Mission of 1909-1910; DC Elliot's memoirs of Kigezi of the 1920s; and over 200 case synopses of traditional marriage law disputes in Native Courts, primarily dealing with brideprice disputes but including inheritance and criminal cases of a sexual nature. 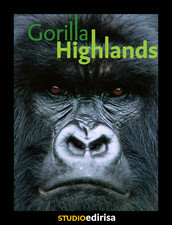 Gorilla Highlands (2nd edition July 2013) on the iPad is a multitouch tourist guide containing c. 400 pages of information about southwestern Uganda. Gorilla Highlands, Uganda's official entry to the 2013 World Summit Award, was judged to be one of the five winners in the e-culture and tourism category. The awards are made by the World Summit on the Information Society in recognition of the creative use of interactive digital media in content and diversity. The Travel Guide offers quality advice on accommodation, food and travel that has greater levels of detail compared with regional and Ugandan guides due to its regional focus and the team’s knowhow and local knowledge. The In-Depth Companion is a comprehensive description of history and culture, parks and wildlife which targets Ugandans as well as international readers. Studio Edirisa is a Ugandan-based multimedia social enterprise that believes that Ugandans must appreciate their culture and history for the country to truly prosper. We also promote and support cultural tourism as a means of economic development. Gorilla Highlands is an Studio Edirisa production. You can follow their projects on Facebook and www.facebook.com/gorillahighlands. Les Abasambo, Joseph Nicolet (French) n.d.
Resume de l'histoire-legende de Kitami, Joseph Nicolet (French) n.d.